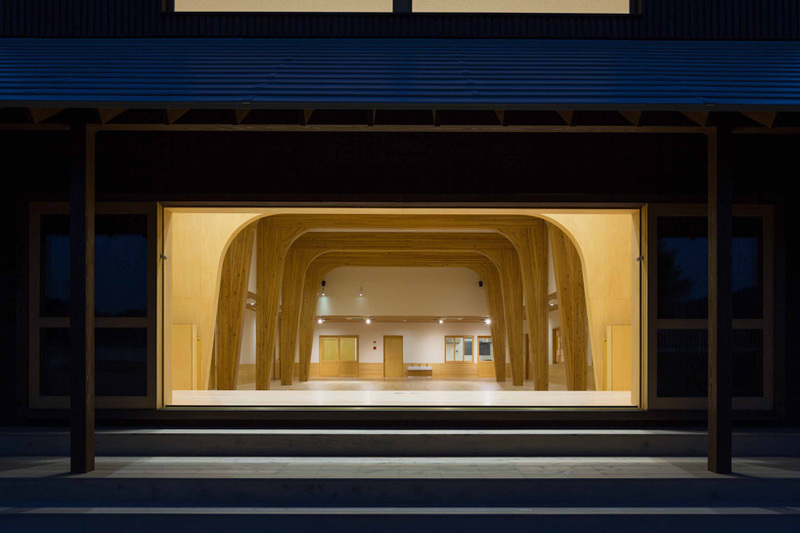 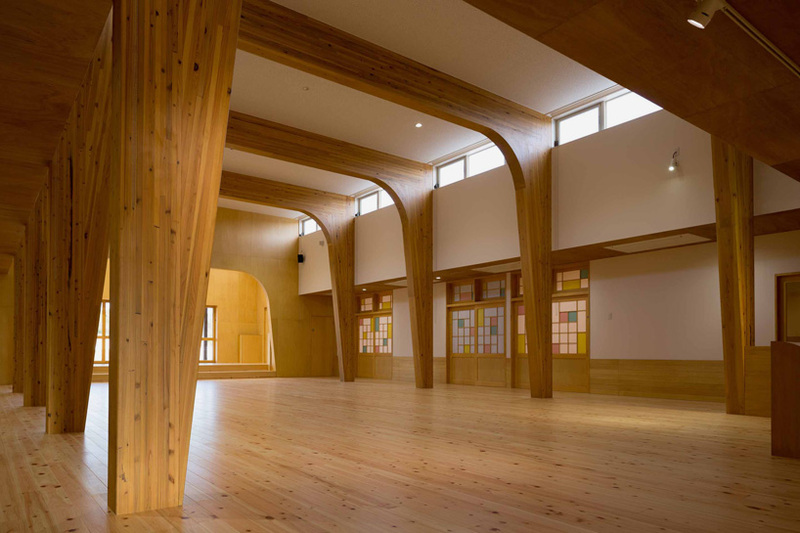 in the japanese prefecture of nagasaki, tatsunori kakuno of tatta architects office has completed an elongated wooden nursery school. 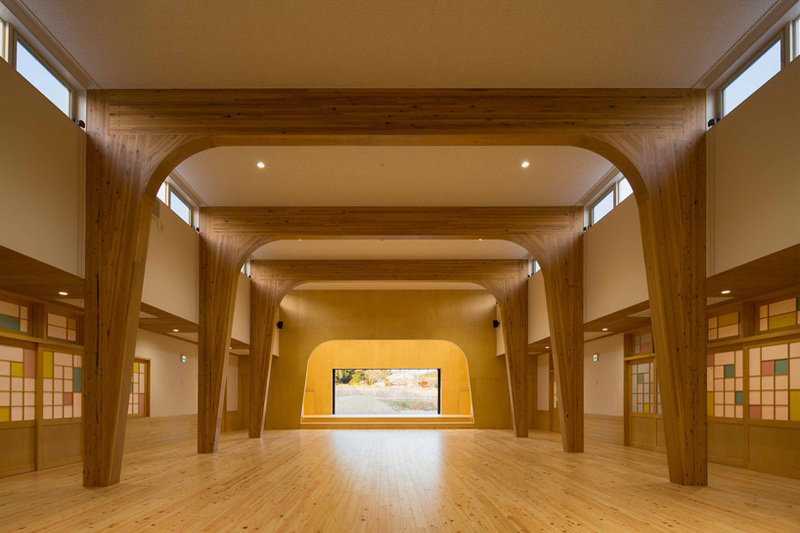 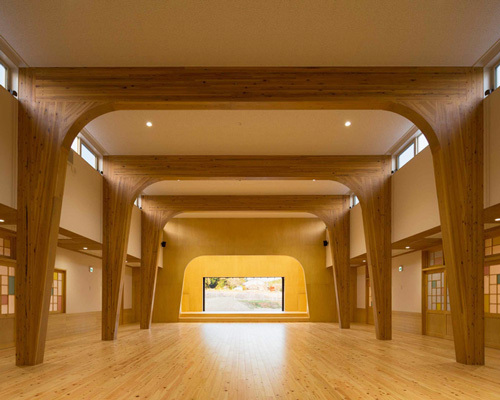 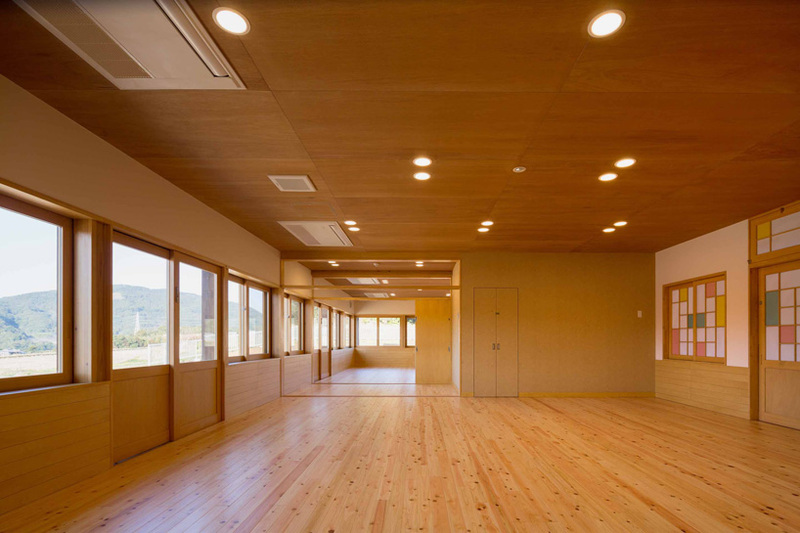 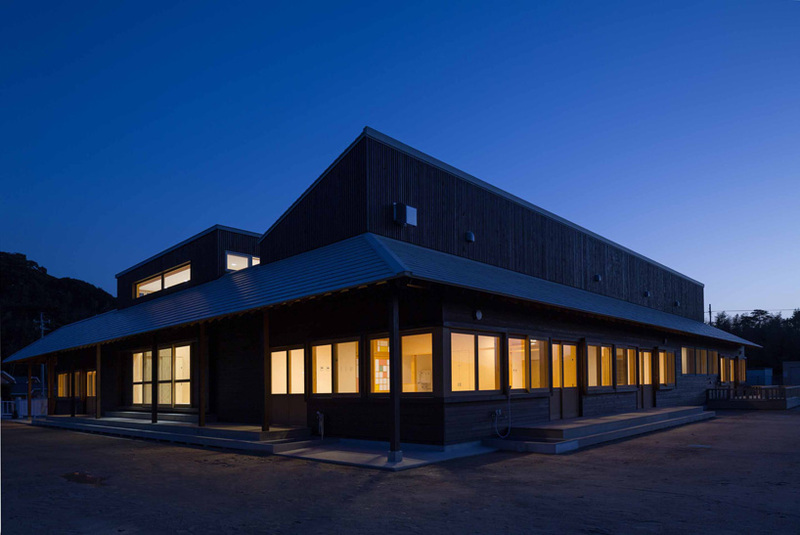 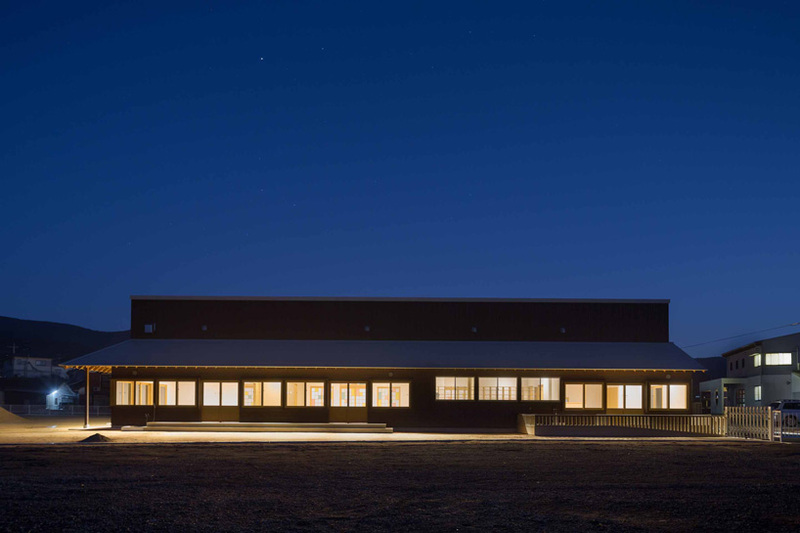 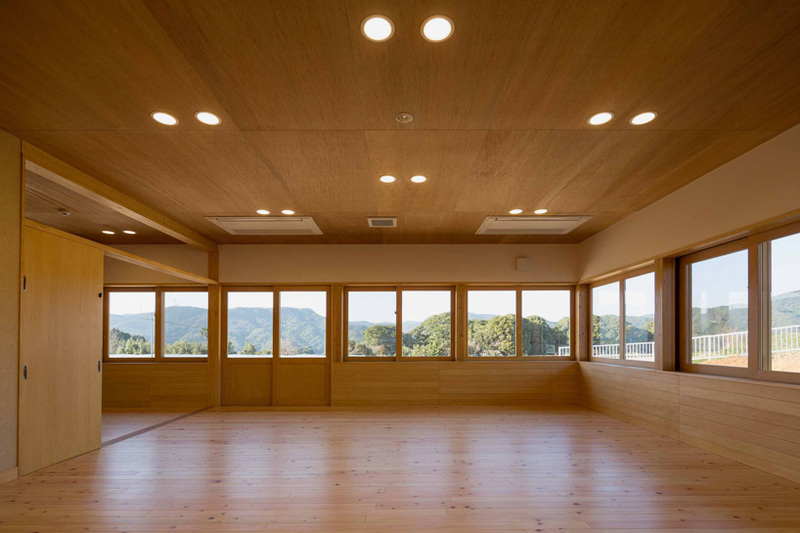 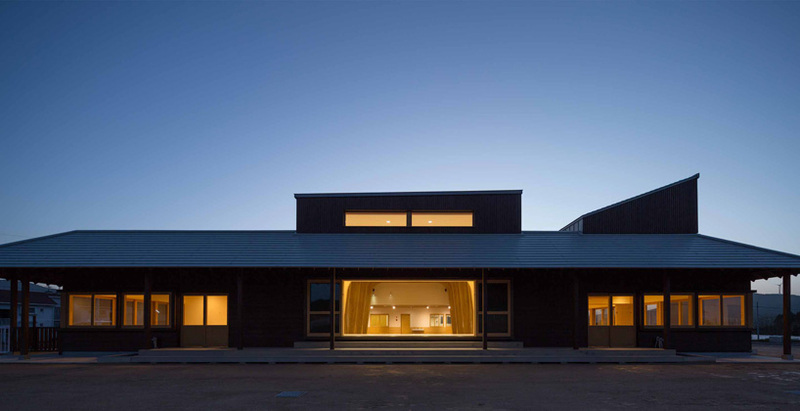 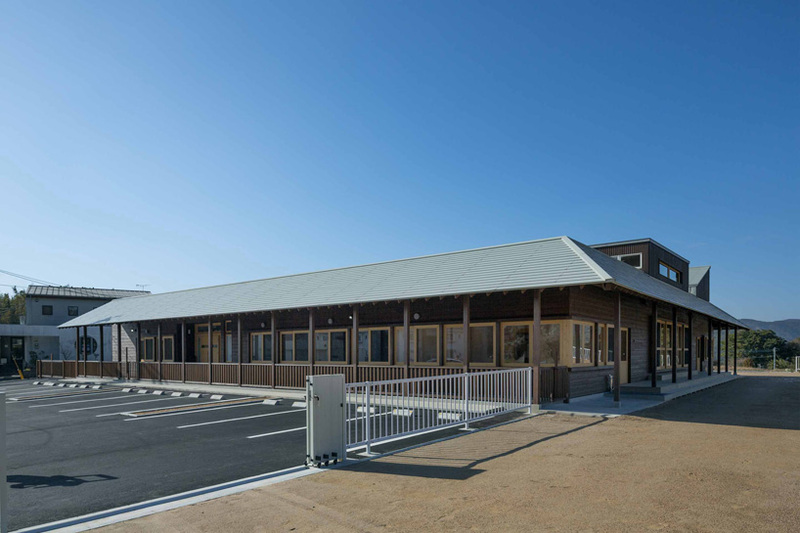 located in the sasebo mountains, the building is organized around a large flexible central room for designed to accommodate the various needs of the region’s children. 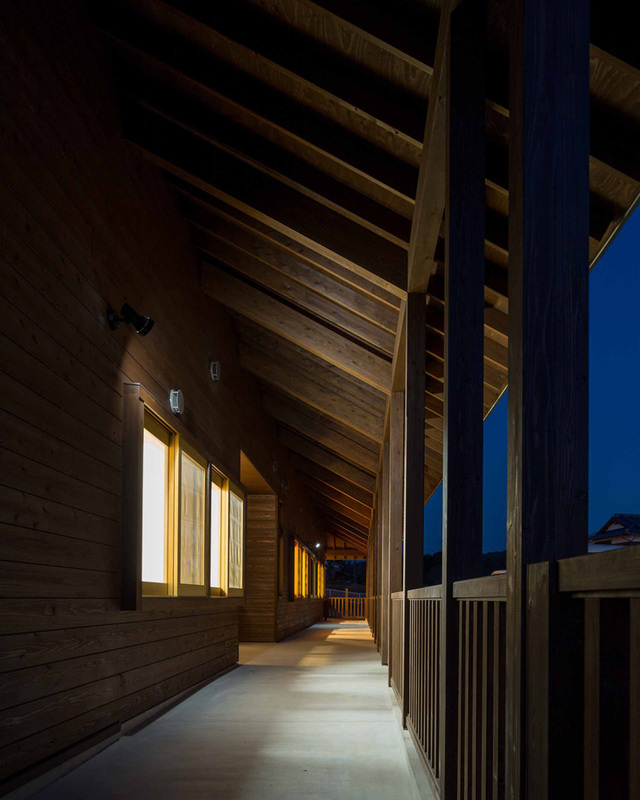 horizontally positioned windows overlook the surrounding landscape, while the structural eaves establish areas of shade and shelter around the building.